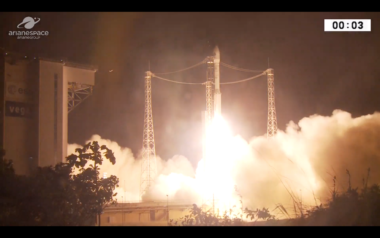 European launch provider Arianespace completed SES’s first-generation O3b constellation April 4 with the Soyuz launch of four satellites. 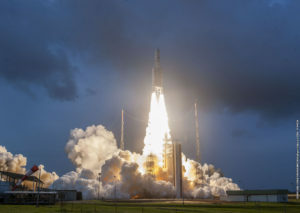 European launch provider Arianespace conducted its third launch of the year March 21, orbiting a remote-sensing satellite for the Italian Space Agency on a Vega rocket. 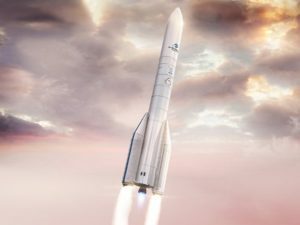 Arianespace’s first Ariane 6 mission will carry 30 OneWeb satellites to low Earth orbit. 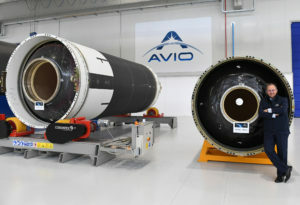 The launch, slated for the second half of 2020, will use the “62” version of the rocket, which has two side boosters. 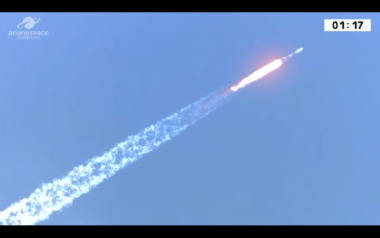 The first six satellites in a constellation that could one day number close to 2,000 lifted off at 4:37 p.m. Eastern aboard a Soyuz rocket. 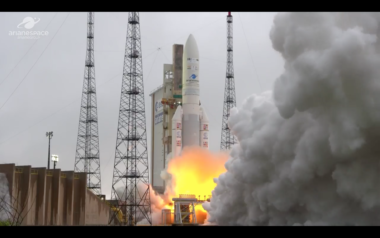 European launch provider Arianespace completed the first Ariane 5 mission of the year Feb. 5, lofting two telecom satellites into geostationary transfer orbits. The Ariane 5 launch will carry two telecom satellites: Arabsat’s SaudiGEOSat-1/Hellas Sat 4, and the Indian space agency ISRO’s GSAT-31. 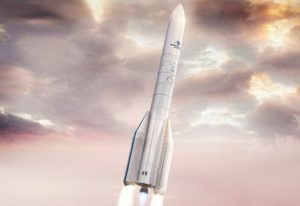 European launch provider Arianespace is planning to conduct a record number of Vega launches this year, and, if OneWeb is ready, a return to launching from Russia’s Baikonur Cosmodrome in Kazakhstan. 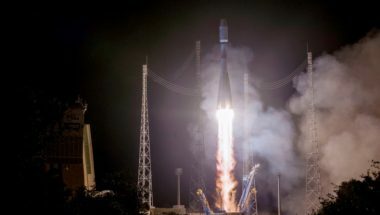 European launch provider Arianespace completed its final launch of the year Dec. 19, sending the French spy satellite CSO-1 into orbit on a Soyuz ST-A rocket. 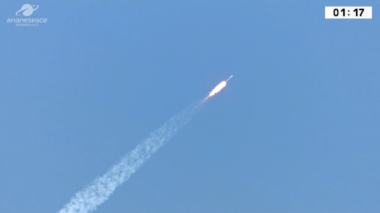 Arianespace completed its final Ariane 5 launch of 2018 and penultimate overall mission for the year on Dec. 4, carrying a satellite for India and another for South Korea to geostationary transfer orbit. 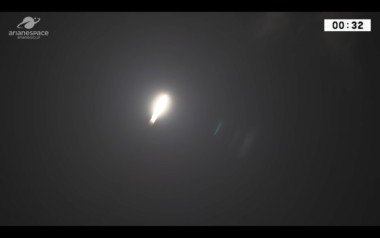 An Arianespace Vega rocket launched the Mohammed 6-B satellite for Morocco the evening of Nov. 20, placing the satellite in the same orbit as its twin satellite Mohammed 6-A that launched a year ago, also on a Vega rocket. 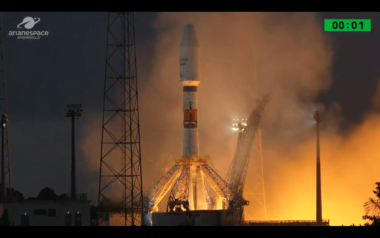 A Soyuz rocket successfully launched a European weather satellite Nov. 6, completing a constellation of polar-orbiting satellites and providing additional reassurance about the reliability of the Soyuz. 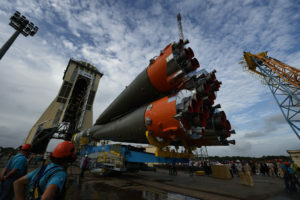 An Arianespace Soyuz mission will launch Nov. 7 without any delays resulting from the failure of a crewed, Russian-operated Soyuz launch earlier this month, Arianespace said Oct. 30. 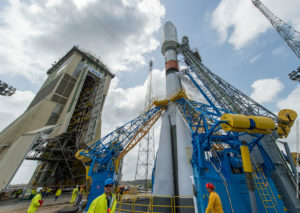 Arianespace said Oct. 11 it’s too soon to say whether the Soyuz-ST rockets it uses to launch satellites from South America will be grounded following the failure of a Russian Soyuz-FG rocket carrying crew to the International Space Station. 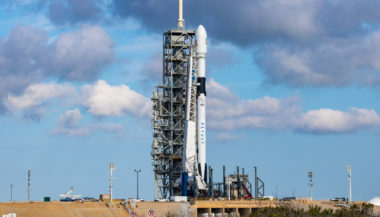 The next two to three years will be a time of adjustment in the space launch industry, according to panelists at Satellite Innovation 2018 here.